Soft starter is a electrical device specializes for controlling AC motor in soft start, soft stop, light-load energy saving and much more protection features. Overheating protection: the soft starter detects the thyristors internal radiator's temperature by its thermal relay, automatic cut down and send alarm signal once the temperature exceeds allowable value. Phase loss protection: the soft starter detects the changes in three-phase line current, to make phase loss protection response once the current off. 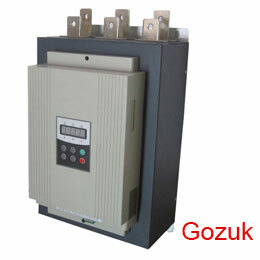 Overload protection: the soft starter has current control loop to track and detect the changes of the AC motor current, to cut down the thyristor and send alarm signals when motor is overload. 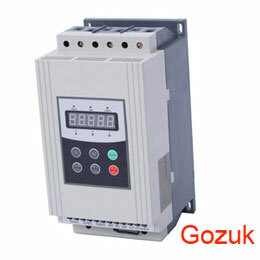 Other functions: achieve lots of mixed protection features by combining electronic circuits. 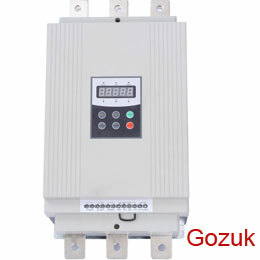 High quality & cheap Soft Starters wholesale from China local manufacturers..
Gozuk low voltage soft starter is a new type start-up equipment which integrates electric force and electronic techniques computer technique and modern control theory. It is the new generation AC motor starter to replace the conventional star-delta starter, self-coupling voltage-drop starter and magnetic control voltage-drop starter.